Dorchester-based Tilly Dowley, 31, was inspired to run the Virgin London Marathon by watching her own mum, Bren Stevens, suffer a cancer diagnosis. Tilly and her family witnessed first-hand the often brutal chemotherapy and radiotherapy treatments that she went through before she sadly died five years ago. 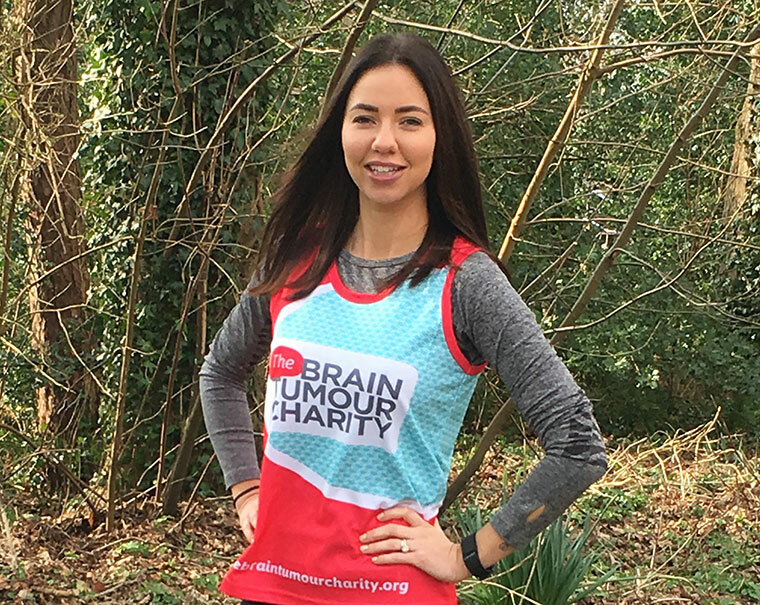 Now determined to make a difference by supporting the work The Brain Tumour Charity does, her months of arduous running training are finally paying off. Tilly said, “During the dry heaving and ankle bruising, I keep going with the thought of anyone suffering through brain tumours and cancer. I have seen first-hand the devastation that chemo and radiotherapy does, the strength that it takes to carry on day-to-day, the worry of the future. Tilly is a procurement specialist for Dorset-based Ebit Business Solutions. Ebit have nominated The Brain Tumour Charity as their charity partner of the year. Tilly now faces one of the biggest challenges of her life. “I applied via ballot to the Virgin London Marathon last year and didn’t get through – though I feigned disappointment I will admit I was slightly relieved to not have to put myself through the paces! “However, when The Brain Tumour Charity, a fantastic charity, emailed our office to say they had some spaces for the marathon to run for them, it seemed like fate, and so welcomed the start of my running journey. Geraldine Pipping, The Brain Tumour Charity’s director of fundraising, said, “Tilly is an absolute star… Her determination taking her through this winter months with the hours of intense training and setting her sights on the London Marathon are an inspiration to so many others.